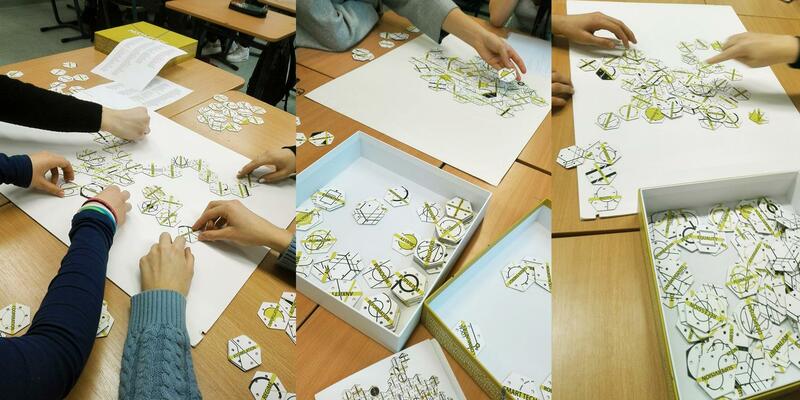 A board game with alternative theories of history, motivating students to think about history as a logical network of politics, sociology and human psychology. 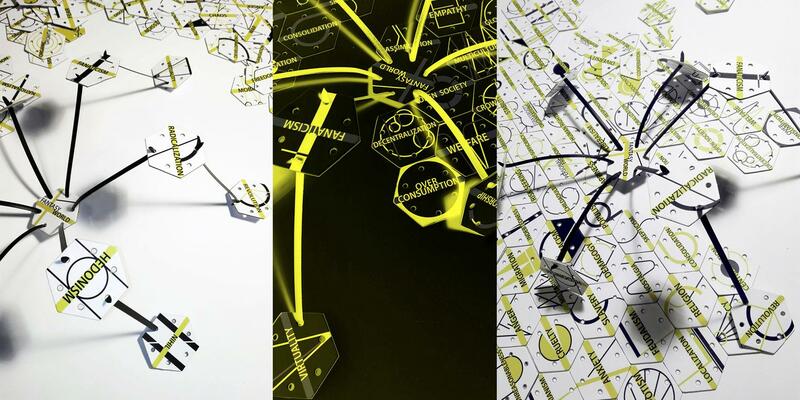 The game was born as a result of a design workshop organized to work on something different from usual design jobs in the traditional sense, something different from our everyday work. We were investigating utopist philosophies, theories and scripts, wondering how our lives would change, what direction progress would take, and what kind of future is ahead of us. It was not only product design in the traditional sense. 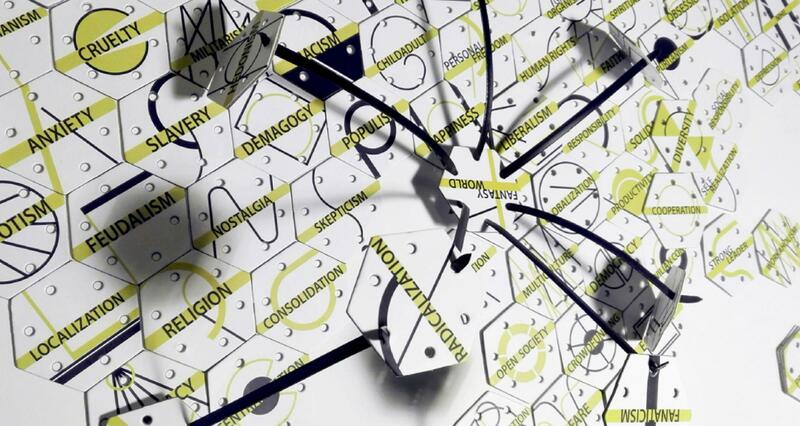 Something far more interesting was created that resembled common thinking, raising problems, futurology, and last but not least possible problem solving sometimes in the form of specific ideas, forecasts or even a design process. 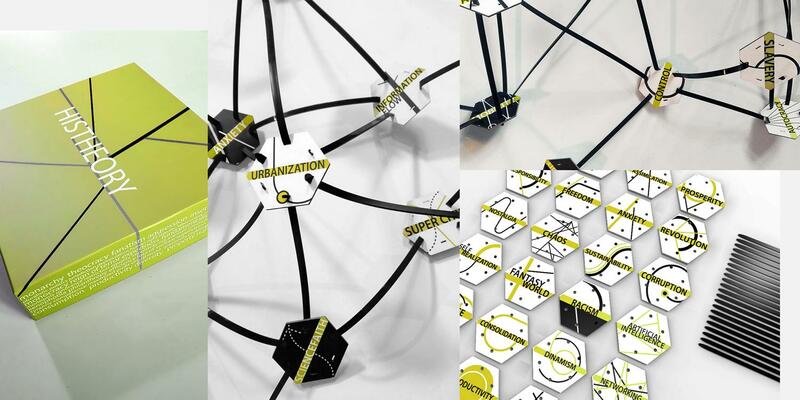 We realized that what we were working on an organic, intertwining network, important concepts in its focal points that connect in the most varied ways, still organized according to a specific system. This game has an easily understandable logic that can be played by anyone willing to think about the interrelations of history, philosophy, human psyche, and politics. The main point is to assemble our own historical scripts. To each phase, or to each human emotion or state-hierarchy several happenings, emotions or phenomena can be connected from different directions. As we connect several phrases they modify or even enrich each other, as they show many possible features of an expression. Therefore, this can be a very good method to free phrases from fixed, sometimes too simple and populist definition. This game can help players to see expressions from several points of views, also understand each other’s opinions. This is the method, how the game motivates players to talk, communicate, and debate continuously. We developed several game rules, we can play by competing each other, or to build a story together. 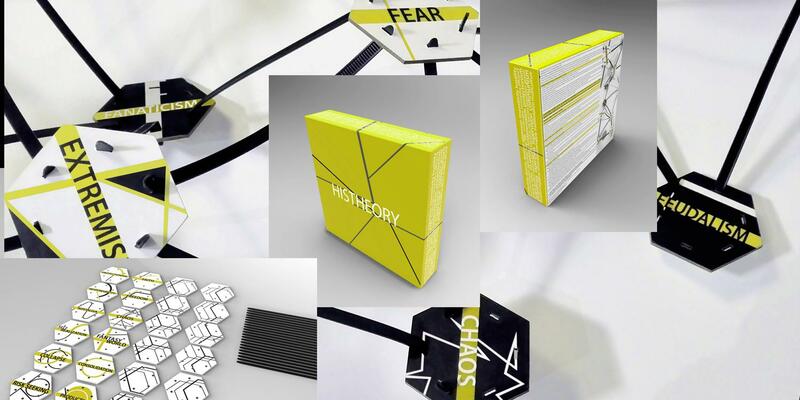 Details about the game rules and case studies can be seen on the website of the game. The design is minimalistic, simple, the only decoration is the logo of the phrase on the card. The logo is created from the first letter of the word and expresses the meaning of the definition. The game can be played in a two-dimensional system, but also can be built into a threedimensional construction. Histheory does not want to force any philosophy, thought or theory on the players. Its only goal is to make you think. To realize the connection among matters, the potential dangers dormant in the heart of historical processes, causes and possible future events. We contacted several high schools, as we would like to spread this kind of logical and objective thinking and approach to History. 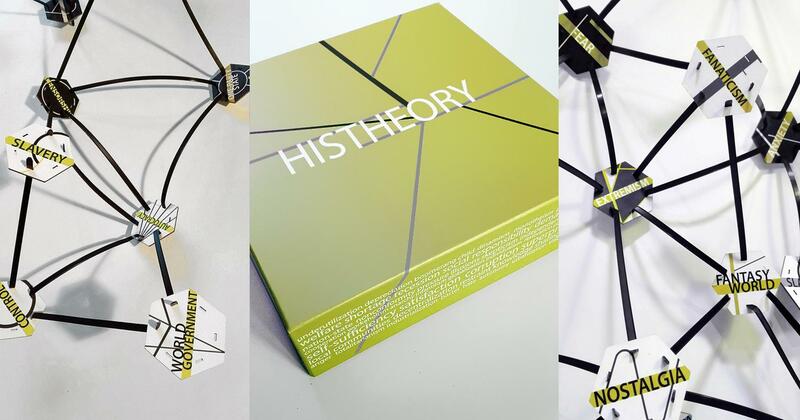 We hold ”Histheory days” together with History teachers. These days are always wonderful, and exhilarating, as we can talk and debate young students, and sometimes even receive applause and warm worlds.